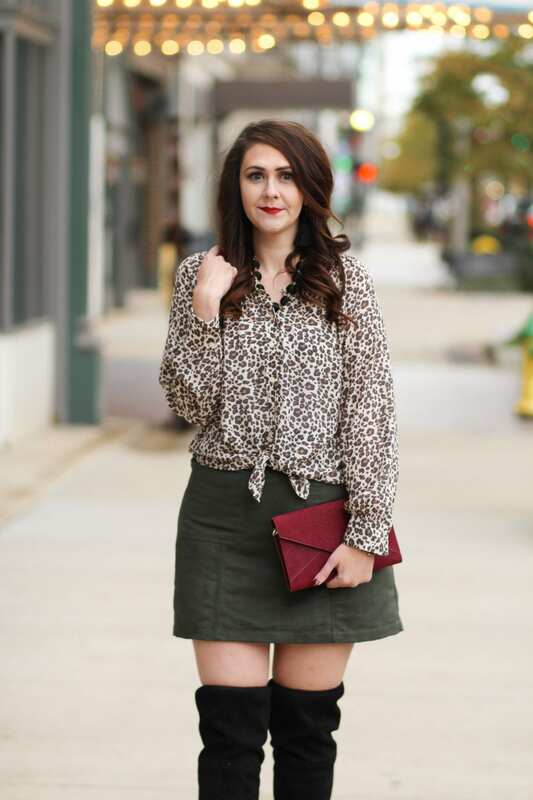 I’m always excited when new skirt and pant trends come out because with bottoms, it’s so easy to get into a rut of wearing the same jeans, same black pants, or same pencil skirt. 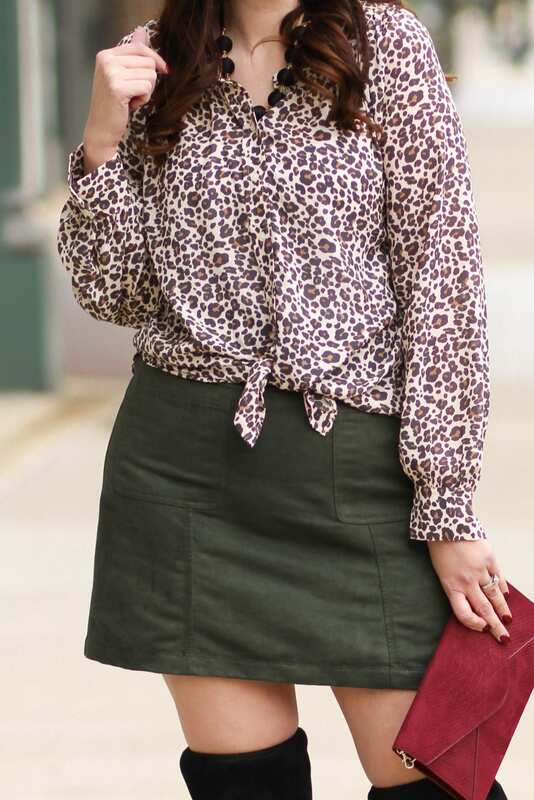 The suede skirt trend that popped up earlier this season is everything. 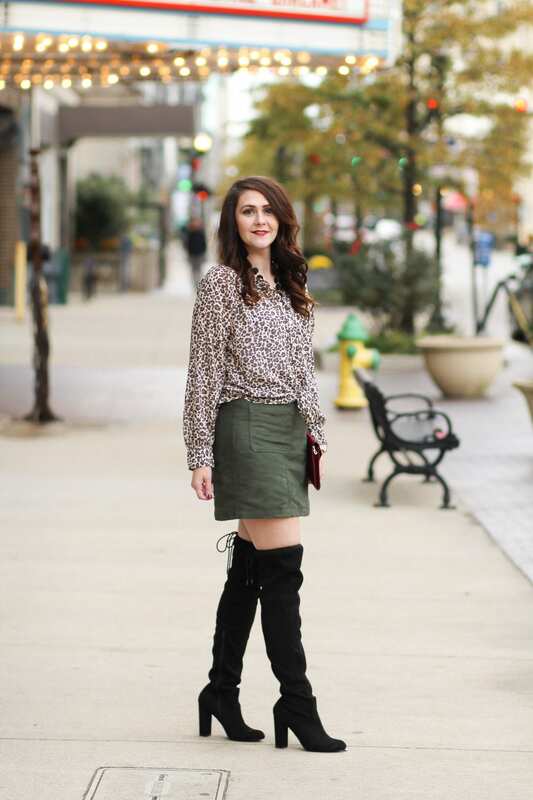 Suede skirts are perfect for fall and winter! 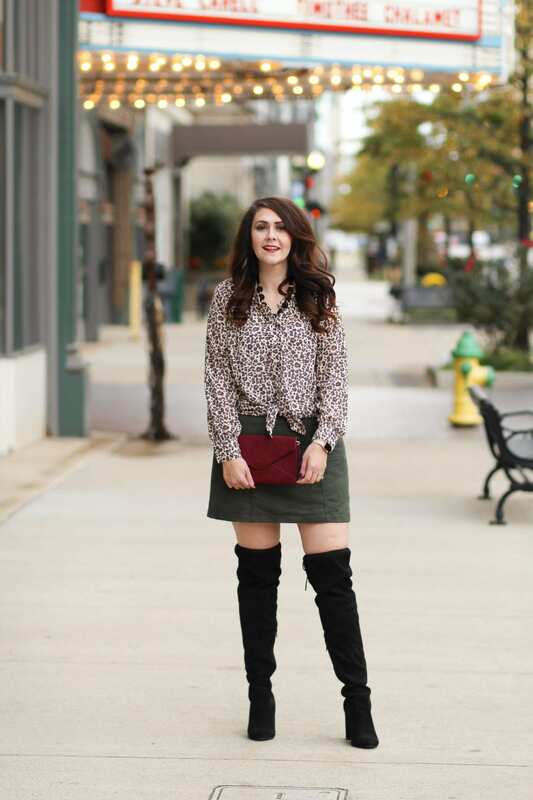 I like to pair mine with over-the-knee boots since the skirt is mini. My OTK boots are such a good deal. They’re under $50 but are dupes for much more expensive ones! So, I actually shot this outfit twice. The first time around I lost my memory card (we’ll see when/where it turns up) and I had to shoot this outfit again. It’s all the exact same, except this time I tied my leopard print shirt instead of tucking in it. It really took my outfit up a notch. This would be a great dressier Thanksgiving dinner outfit if you have a dress-up dinner. What are y’all planning to wear that day? Love that short skirts are back in. So cute and chic! I don’t do short skirts! Which is too bad since they’re in style!